DEAL: Costco Members Shop FREE at Sam's Club (Expires 7/4/16) — Future Proof M.D. Wholesale clubs offer great savings on bulk items for the family. Many of you may have your favorite picked out already - whether it be Costco, Sam's Club or BJ's. 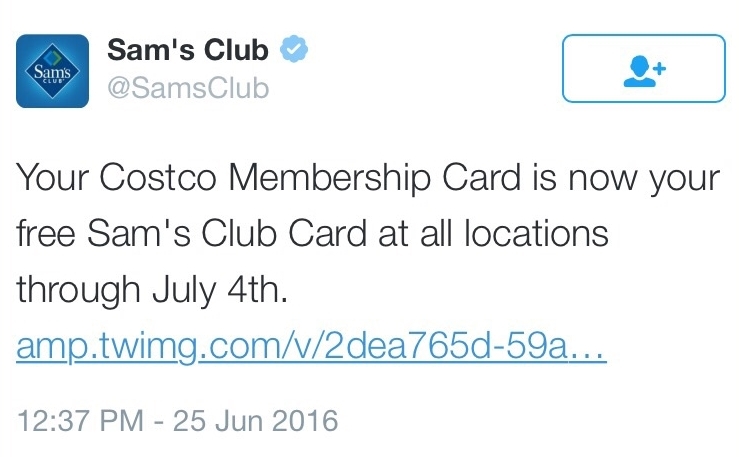 From now until 7/4/2016, Sam's Club is letting Costco members shop in their stores without a fee (normally $45-100/year).